Posted on February 3, 2016 by David Silver. Porsche’s CEO has no plans to build a self-driving car. “One wants to drive a Porsche by oneself,” says Oliver Blume, CEO of the performance car company. All of this is according to BGR, by the way. There’s a certain amount of logic to this. People get excited about driving a Porsche because of how fun it is to drive a Porsche, not how fun it is to ride in one. Or at least that is what I’m told (I’ve never driven a Porsche, although I’ve ridden in one). I’m trying to think of analogies, and coming up a little bit blank. People still go camping, even though hotels exist? People cook their own food, even though restaurants exist? The best analogy I can find comes out of the auto industry, appropriately enough. People still drive manual transmissions, even though automatic transmissions exist. I really like manual transmissions, in fact. Porsche is only a moderate-volume car maker to begin with, but I will be interested to see whether they can maintain that position in the face of self-driving cars, or whether they will become more a luxury niche brand, more akin to Lamborghini or Rolls-Royce. Google’s self-driving car team just released its January report, which highlights the role played by its simulator in improving its driving algorithms. With our simulator, we’re able to call upon the millions of miles we’ve already driven and drive those miles again with the updated software. 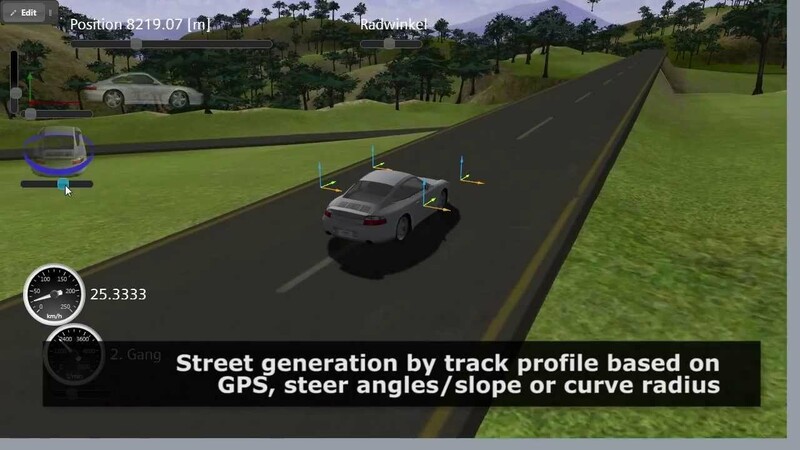 For example, to make left turns at an intersection more comfortable for our passengers, we modified our software to adjust the angle at which our cars would travel. To test this change, we then rerun our entire driving history of 2+ million miles with the new turning pattern to ensure that it doesn’t just make our car better at left turns, but that the change creates a better driving experience overall. We can also create entirely new scenarios in our simulator, allowing us to concentrate on perfecting a particular skill. For example, to test our car’s performance in a three car merge, we will create thousands of variations of this situation (each car travelling at different speeds, and nudging to merge at different times) and then test that our car drives as intended each time. To me, this is one of the coolest parts of machine learning. Without actually going out and getting new data, which can be expensive and slow, we can use data that we already have, and warp it to create lots of new data, which rapidly improves the learning rate of machines. Andrew Ng is a computer science professor at Google, the Chief Scientist at Baidu Research, and, most importantly, he re-taught me Machine Learning recently. I hope we’ll have a large number of vehicles on roads within 3 years, and be mass producing them in 5. Machine learning is good at getting your performance from 90% accuracy to maybe 99.9%, but it’s never been good at getting us from 99.9% to 99.9999%. I think it is more promising to start with a different goal: A shuttle/bus that can only drive one bus route or just in a small region. If we can make sure that route’s road surface and lane markings are well maintained, that there’s no construction, etc. then we’re within striking distance of making that truly safe. This then lets us slowly add routes and gradually grow the regions in which we can drive safety. This is the approach we’re taking at Baidu; I hope other groups will also adopt this approach. Read the whole thing. It’s very short, but anything from Andrew Ng is insightful.